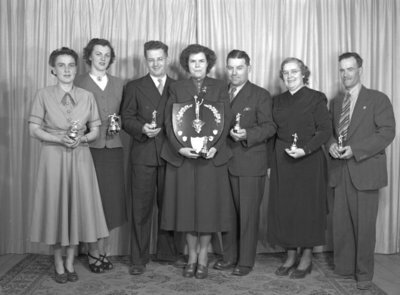 Black and white negative showing the Ontario Hospital staff bowling champion team. Each team member is holding a trophy. Ontario Hospital Bowling Champions, 1948, Marjorie Ruddy. Whitby Archives, 13-001-330.